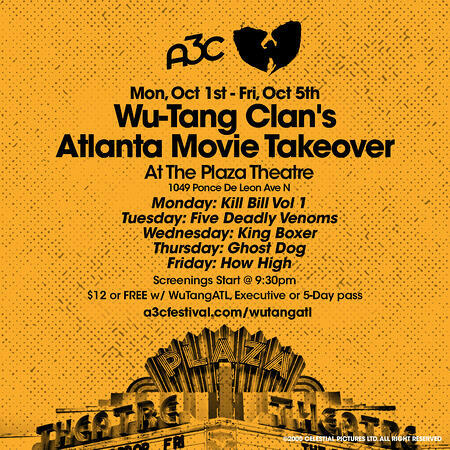 The historic Plaza Theatre will be hosting a week of Wu-Tang themed movie screenings featuring some of Wu-Tang Clan’s favorite films and biggest inspiration as well as movies featuring Method Man or scored by RZA. 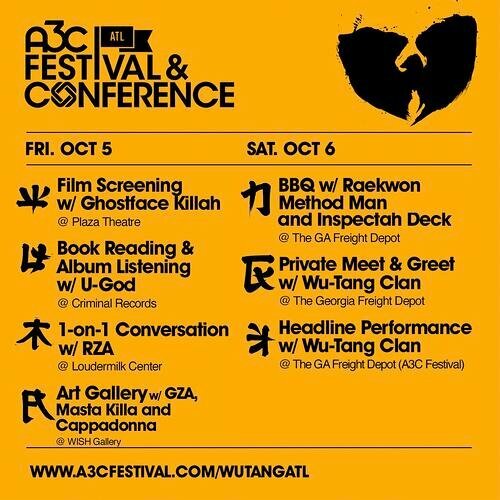 Screenings start each night at 9:30pm between Monday, Oct 1 through Friday, Oct 5 and are $12 or free with a WuTangATL, Executive or 5-Day pass. Founded in 1939, the Plaza Theatre is an Atlanta landmark and the city’s longest continuously operating movie theatre. 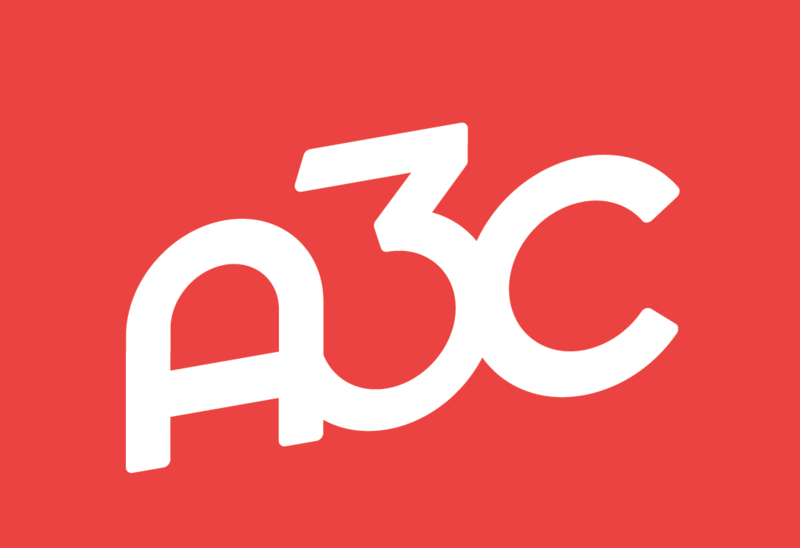 Ghostface explains “The World According to Pretty Toney"
A3C presents a private screening on Fri, Oct 5 with an open bar featuring Sweetwater’s new IPA, G-13. 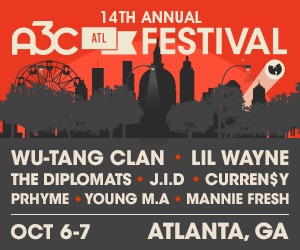 Only accessible with a WuTangATL or Executive pass. 'The 36 Chambers: A Wu-Tang Inspired Shop' is a curated art exhibition and experience featuring 9 Atlanta artists - and Wu-Tang’s own Mathematics - who will produce 4 new artworks to create a fantastical world of the Shaolin and the Wu-Tang. 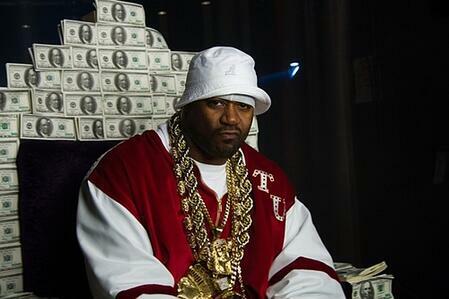 GZA & Masta Killah will be playing chess against attendees and if you beat either, you’ll win a prize. Free WuTang Inspired Tattoo @ City of Ink on Sat, Oct 6th from 2:00 - 4:00pm. Free Haircut @ Killer Mike’s SWAG Shop on Sat, Oct 6th from 2:00 - 4:00pm.